Providing far larger accommodation than is immediately apparent, with mature gardens backing south and enjoying lovely views, a modern family home within a mile of the town and mainline station. OPEN HOUSE SATURDAY 5th NOVEMBER 10.00 am - 12.00 BY APPOINTMENT ONLY WITH JACKSON-STOPS & STAFF. 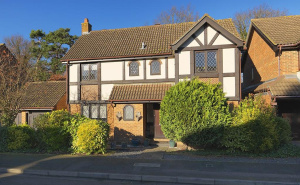 An excellent and well presented detached family home in a quiet no through road with secluded rear garden & within walking distance of Hurst Green station. A 3 bedroom chalet style bungalow located in this private and sought after road, with a level private garden, 2 garages and walking distance to both Warlingham Green & Upper Warlingham Station. 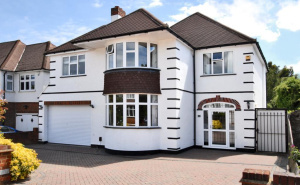 A well presented substantial 5 bedroom detached family home located in a prestigious private road with south east facing level rear gardens. Constructed in 1999 by Fairclough homes.